It has been truly a pleasure to work with Patricia (or Pat – as we would lovingly call her) for the last 16 months. 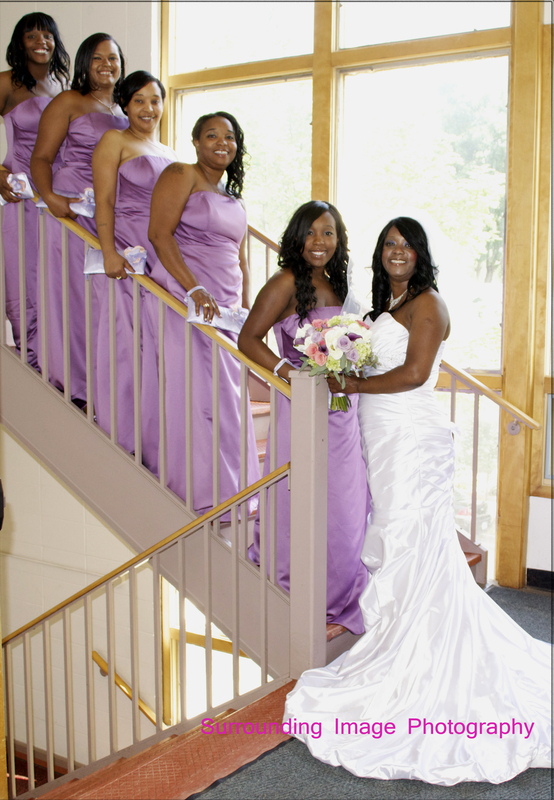 She was very sweet and the best part was she trusted me with EVERY detail of her wedding. And I mean EVERY SINGLE THING – which made my job so much easier and enjoyable! 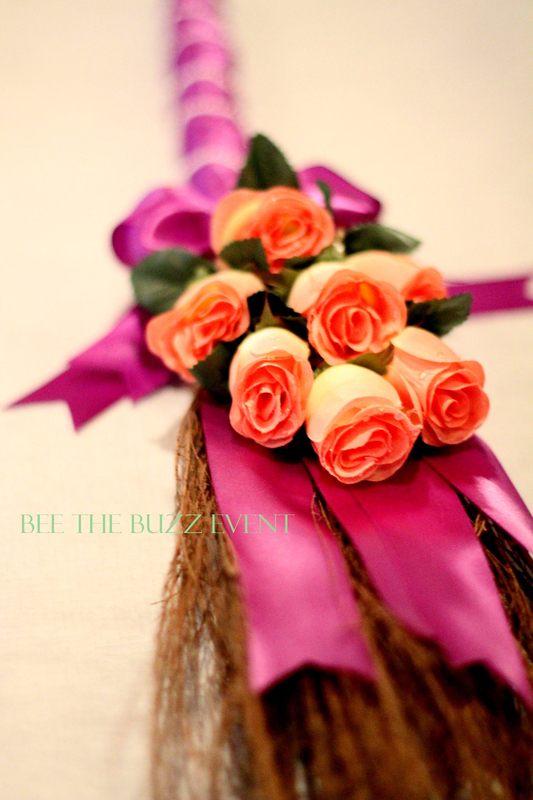 Here are a few shots from a very talented, upcoming photographer, Nicola Losik which she had captured for Bee The Buzz Event and also a few photos by the wedding photographer, Tyn Fin of Surrounding Image Photography. Pat wanted lots of colors, but primarily in purple family. 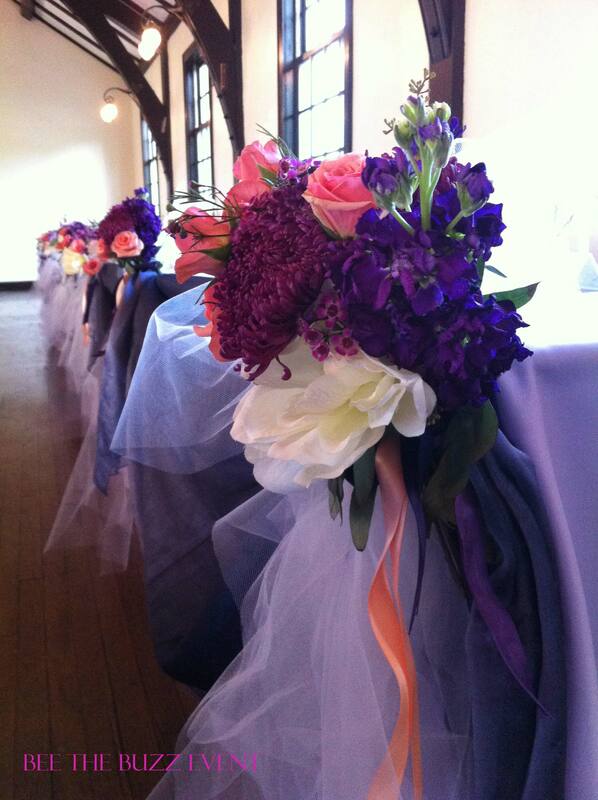 So we worked with shades of purple (true purple, wisteria, lavender, amethyst) with peach as an accent color. For her bridesmaids, in lieu of bouquets, we suggested for them to carry custom clutches with colors coordinated with the wedding colors. These clutches double duty as bridesmaids gifts. I wish we had a close-up photo on these clutches. They are a-d-o-r-a-b-l-e. 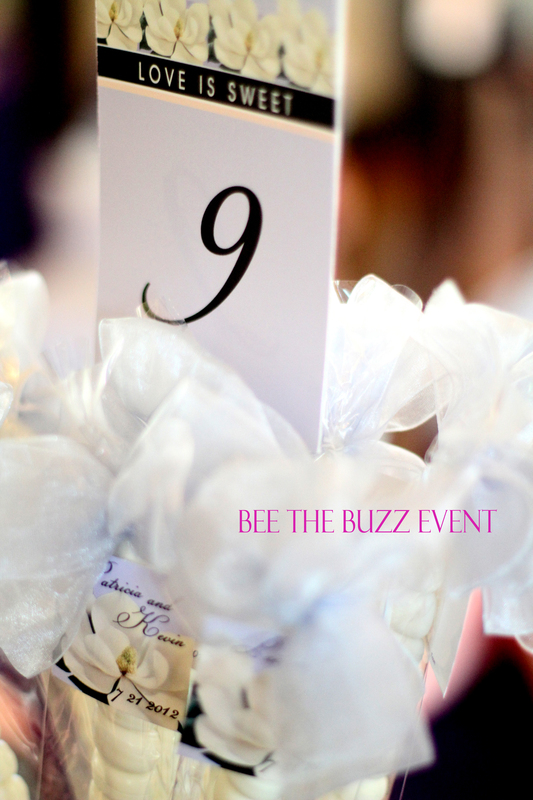 Her centerpieces were designed by Bee The Buzz Event with materials from Candy Spirit. Each centerpiece was a collection of candies with a special thank you tag for each guest. At the end of the event, the guests were welcomed to take the candies home (and the vases!). 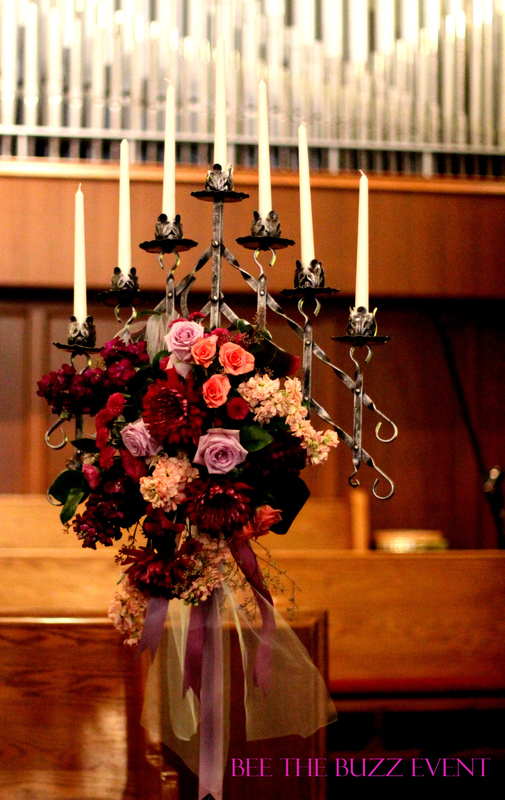 We love double duty elements in a wedding! 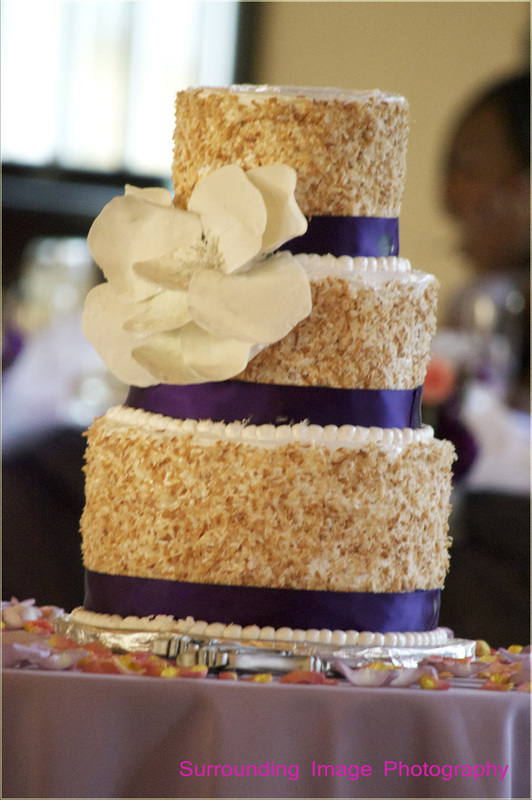 The wedding cake was a special coconut cream recipe by Paula Deen (Food Network) which was the couple’s favorite. The pasty chef at Three Sons Signature Cuisine was able to deliver that along with the Magnolia flower to represent The State of Mississippi – where Pat was originally from. 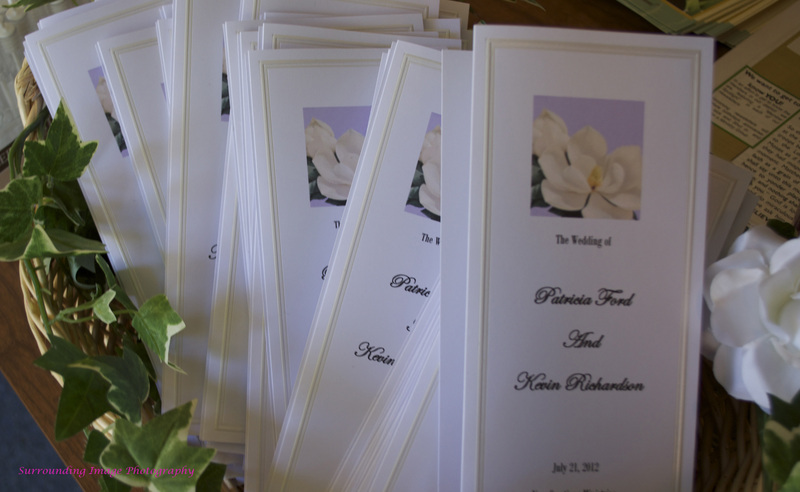 We were able to incorporate the Magnolia flower in Pat’s bouquet, in bridesmaid clutches, in the pew flowers (which were re-cycled to be the head table decoration) and also in all wedding stationeries (invitations, ceremony programs, table numbers, placecards, thank you tags). 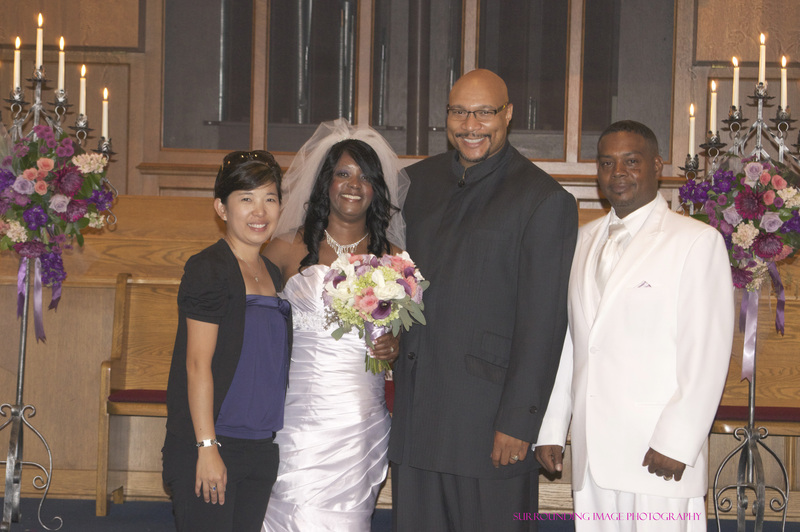 Pausing for a picture with the Bride, the Pastor and the Groom. 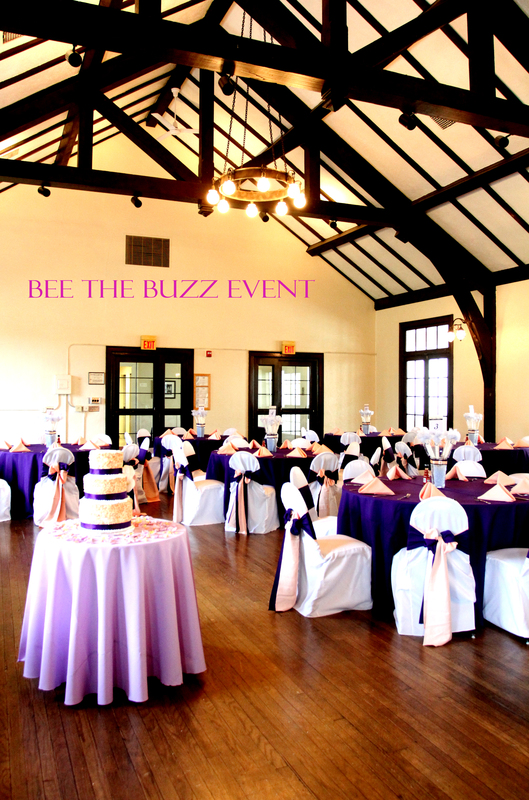 At Bee The Buzz Event, you are not just a number to us. You are a very special couple whose friendship we always treasure. 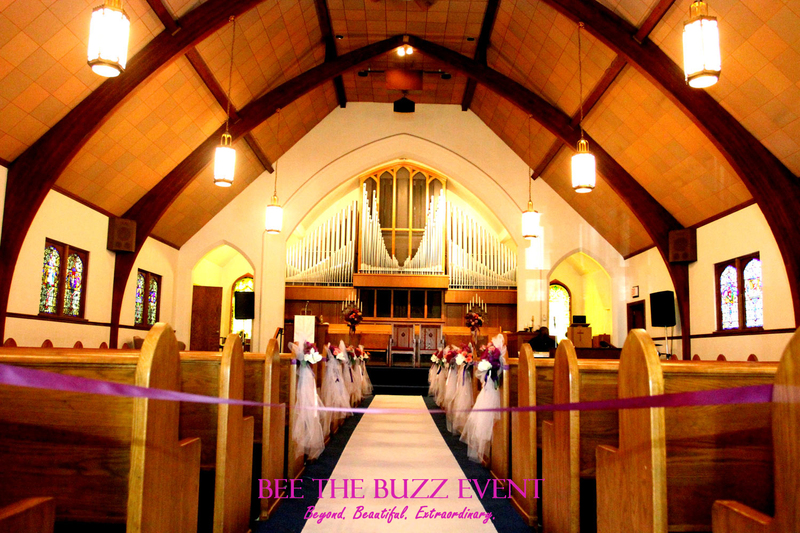 We work hard to ensure your vision of an amazing wedding is a reality and we always strive to create a wedding that is beyond beautiful; it’s extraordinary. 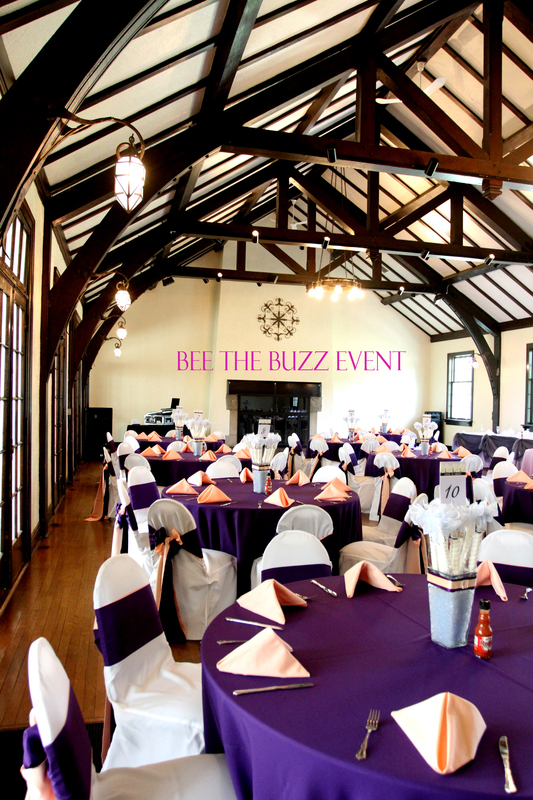 Posted in Real Weddings and tagged candy spirit, columbia manor, luna vinca, purple wedding, Three Sons Catering. Bookmark the permalink.